When I was little, there was nothing that filled my soul more than being outside working on the farm with my dad. So, this particular Saturday morning started out perfectly. I was six years old. It was spring and my dad was plowing, and needed our help. My brothers and sister and I had the job of picking the big rocks out of the field, so they wouldn’t break our equipment. We were having a grand ole time, mixing our work with a fair amount of play and teasing. All of a sudden, my oldest brother Shane yelled, “Kara! Snake!”, and I took off like a shot! On my way to what I considered safety, I tripped and broke my knee open on one of those darn big rocks, which later required ten stitches. Here’s the kicker though! There wasn’t even a snake! Shane just knew that I was deathly afraid of them. And he did what he often did...teased me, and I did what I often did at that age...believed him! But just because I believed it, it didn’t mean it was true. There wasn’t a snake that I needed to be afraid of. There wasn’t any reason for me to be ‘running for my life’! And the same is often true in our own lives...Just because you believe something, it doesn’t mean it’s true. It wasn't that long ago that I had an "Ah-Ha" moment over this. I mean, think about the things that people have believed and accepted as truth over the years. ...the earth was flat and the sun rotated around it. These were widely accepted and yet, ALL have been disproved. The fact is that no matter what we believe, it is our beliefs that drive our behavior and our actions. Why did I run for dear life??? Because I believed! I believed there was a snake! And I’m just wondering where in your own life, you’re believing something that isn’t necessarily true. Something that is driving your actions, and worse yet, holding you back from getting the results you want. I can’t start over now, I’m too old. The reason we are all in this situation is because so-and-so is greedy and doesn’t care. I’d be crazy to leave my job with benefits to start my own business. It’s better to have the security, and at least know what I’m getting. I could never afford to take my family on vacation. I'll never find true love again. I had it once and lost it. I don’t know what that belief is for you. But I want to invite you to stop letting the belief ‘run’ you! And begin to challenge it with these questions. Is it true? ...Can I absolutely know FOR SURE it’s true? Let’s walk through this with a quick example, but also, feel free to substitute your own beliefs and explore these questions too. Imagine that what you really want is more money in your life, but your belief is that you’ll always be living paycheck to paycheck. Is it true? Can I absolutely know FOR SURE it’s true? Just Wait! Wait until they’ve quieted down a bit and sit with the question. Is it true? And can you absolutely know it’s true? Truth be told, it may feel true based on your past experiences with money, your paychecks, and current bank balance. This may have been your story for the past 10, 20, or 30 years. But can you absolutely know that it’s true that you’ll always be living paycheck to paycheck? The truth is that you can’t predict the future. Quite honestly, you don’t even know if you’re going to be here tomorrow. The truth is that one idea can change your financial picture forever. The truth is that others in similar situations have found their way to abundance. The truth is that maybe there’s another job or business where you could work less and actually make more. So you can’t confirm your belief as true, but yet this belief is driving your behavior and in turn, your results. Again, be patient and lean into the question. Don’t reach for the first familiar answer. Wait for those to pass, and listen attentively to what follows next. This is simply a way for us to stretch our minds and consider some other possibilities. It could be true that sometimes you’ve lived paycheck to paycheck. It could be true that there have been several times over the years when you had some extra money in your bank account between paychecks. It could be true that things are beginning to change for you. 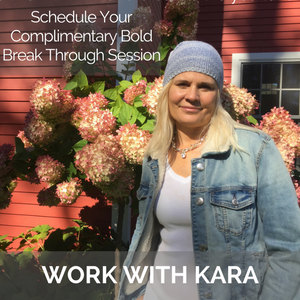 It could be true that you are a different person today than you were 5 yrs ago and you are beginning to see some different options and possibilities for yourself. It could be that the economy is on an upswing. It could be that there are more possibilities for you to move up the corporate ladder now. 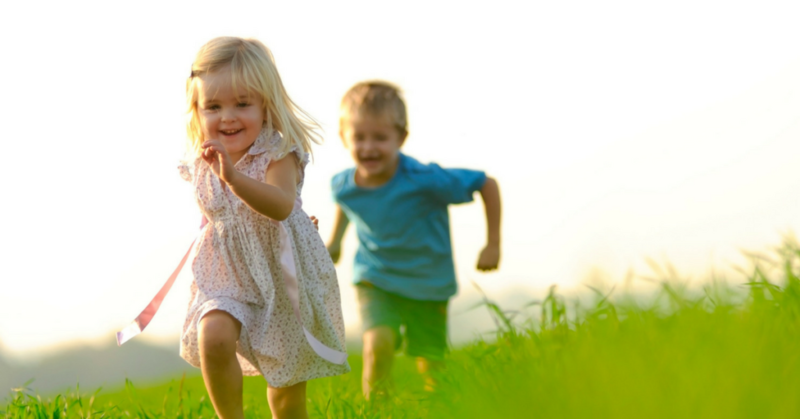 It could be true that because of the years of struggle, you are more motivated today to create a new reality for yourself and your family. You see, once we establish our belief, we kinda put blinders on to all other possibilities. If I had been open to another possibility, I may have turned around to find my brothers and sister laughing hysterically at me, but here’s the thing...I was convinced. I was convinced of my belief and took action. One of the first steps to different results is to debunk that old belief! It’s keeping you stuck in the same old results. So, here’s the third and powerfully telling question. 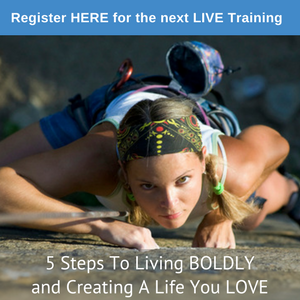 Is your belief of always living paycheck to paycheck moving you toward the results that you want? Or away from it? You know, that goal of financial freedom that you have...your belief is in direct conflict with that goal, so it’s no wonder it’s not happening for you. If you're really going to make progress toward your goals, it’s imperative that you take some time to look at those beliefs which are hiding out in the shadows of our minds. If they aren’t in alignment with your goals, it's time to debunk them and begin creating a new belief that supports the results you most desire. Here’s to you living a life that is fresh, fun and fulfilling! 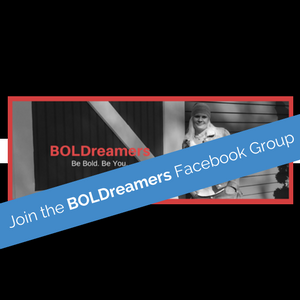 PS - If you are looking to connect with a community of like-minded people seeking greater results like you, click here to join our BOLDreamers Facebook Group, I’ll give you access right away!